"We will never know" whether the death of a young man outside a Coventry nightclub could have been prevented. This is the view of a councillor who chaired a meeting where the owners of Club M were allowed to keep their licence and turn the venue in to an indoor crazy golf centre. 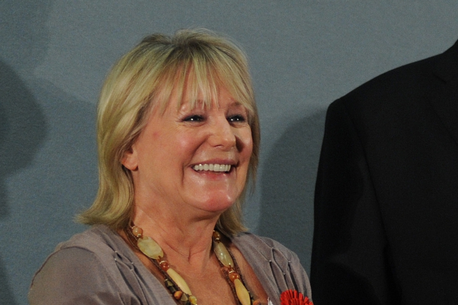 Cllr Patricia Hetherton told CoventryLive she was left "frustrated" by the lack of chance to question those who ran the club about the circumstances around the death of Fidel Glasgow earlier this month. West Midlands Police had applied to revoke the licence of Club M following Fidel's death - and other violent incidents throughout 2018 - and questions were set to be thrown at those who ran the club at a meeting of the city council's licensing and regulatory sub-committee today. However, those representing the club's owners, Westbourne Leisure Ltd, arrived with a new business proposal for the venue and they entered in to private discussions with police officers and their solicitor for a number of hours. This eventually led to a proposal, agreed by both parties, to instead lay down a set of "modified conditions" which allowed Westbourne Leisure to maintain their licence and regenerate the club as a crazy golf venue later this year. After discussing the proposals with the other members of the sub-committee, Cllr Hetherton agreed to allow the licence to remain with the altered conditions. Speaking after the meeting, the sub-committee chairman said had they rejected the proposals, then the decision would most likely have been overturned on appeal. She added: "We have to accept the outcome. Club M is gone and that's good for the city." The unexpected direction that the meeting took left no chance for the committee to speak about the burning issue of Fidel Glasgow's death and Club M.
Cllr Hetherton said: "We knew the sort of questions we wanted to ask and we haven't had that opportunity today, but that's for other legal processes to deal with now. "It was very frustrating as we didn't get to address the concerns about whether [Fidel Glasgow's death] was preventable or not." She said that "when there are major concerns and a lot of incidents around 5am, including one in July" she would have expected the police to have brought the issue of Club M's licence to the council at that point. Asked whether Fidel's death could have been prevented if the licence had been looked at earlier in 2018, Cllr Hetherton said: "We will never know. The 5am closing might have changed. "One will never know but you would hope they would have volunteered [to change the time the club closes]." As for the venue becoming an indoor crazy golf centre, the councillor said: "We had heard rumours. "Club M has gone and we have a new entertainment venue for the city and that's something that works very well and people seem to enjoy, but we had to deal with the situation around Club M and not the future. "Could more have been done to prevent this? We would have liked the chance to have had the case heard." A man appeared in court today in connection with an incident in Coventry that led to the death of a young man. Atikou Diallo has been charged with violent disorder and grievous bodily harm following his arrest in the city on September 1. Diallo, 23, of no fixed address, who is also charged with possession of cocaine, appeared at Birmingham Crown Court earlier today. However, no pleas were entered and the case was adjourned for a plea and trial preparation hearing on November 2. Diallo was remanded in custody. West Midlands Police has also arrested another man on suspicion of Fidel's murder. That man, also aged 23, remains on police bail as the investigation continues. A man arrested on suspicion of murdering of Fidel Glasgow in Coventry has been released by police. Fidel, 21, died in hospital after being found with a serious injury at the rear of Club M, in Hertford Place, on September 1. Police launched a murder investigation and arrested a man, also 23, nine days later. He was questioned and then released on bail while enquiries continued. He was due to answer bail today and West Midlands Police has told CoventryLive that he has been released with no further action to be taken. As part of their investigation, police arrested and charged another man with causing grievous bodily harm. 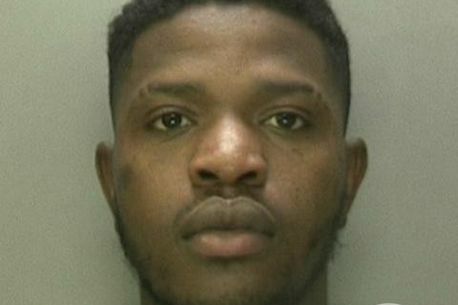 Atikou Diallo, 23, of no fixed address, appeared at Birmingham Crown Court in October where he pleaded not guilty to that charge and others of robbery and possession of cocaine. Diallo will now stand trial at the same court on February 19, 2019, and was remanded in custody. A man chased down and robbed a “gravely wounded” stabbing victim in a violent incident connected to the fatal knifing of a second male. Atikou Diallo and others pursued the man, during what a judge was told had been an “incident of serious public disorder” in Coventry in the early hours of September 1, last year. Early on in the melee, a second man, 21-year-old Fidel Glasgow – the grandson of Specials’ singer Neville Staple – was fatally knifed. The court heard how Fidel was in the group of men chasing Ikemefuna Okosisi-Ezeanyika – known as “Bobby”, near Club M.
During the chase Fidel suffered a stab wound and staggered away before collapsing and dying. It was heard Bobby was chased by the group of men before himself being stabbed by an unidentified assailant. He was then robbed by Diallo. West Midlands Police has said Diallo initially claimed he’d come across the injured man in the street and was playing the role of Good Samaritan by offering first aid. However, officers found him in possession of the stolen phone and CCTV clearly showed him wearing a distinctive white hooded top with the word ‘COBRA’ emblazoned on the back while attacking his victim. He refused to answer questions in police interview but was charged with violent disorder and robbery. Diallo, 24, of no fixed address, admitted robbery on what was to be the first day of his trial, having previously admitted violent disorder for involvement in the fracas. Diallo, who has previous convictions for common assault and battery, was sentenced to four years in prison for violent disorder and 18 months, concurrent, for the robbery.